Sperry has announced that it in tends to acquire the assets of Navidyne Corporation of Newport News. Va. Navidyne develops, sells, services, and operates marine electronic navigation and communications systems. The firm had 1983 sales of approximately $5 million. 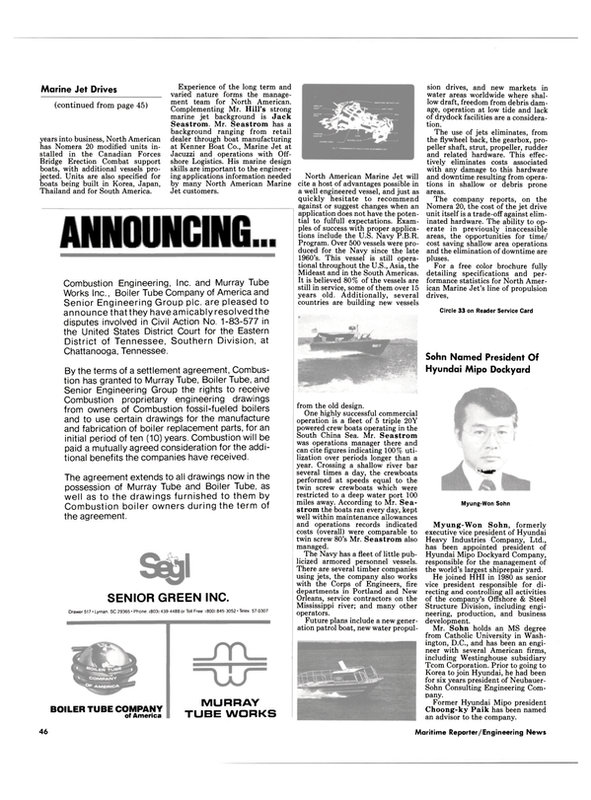 The Newport News company will be operated as part of the Marine Systems Division of Sperry's Aerospace & Marine Group. MSD is headquartered in Charlottsville, Va. The terms of the proposed acquisition were not disclosed. Joseph J. Campanella, Group president, said the addition of Navidyne will help Sperry towards its goal of expanding and diversifying its commercial business. "The communications segment, particularly satellite communications, offers us an excellent opportunity with promising growth potential," he said. A principal Navidyne product is a shipboard satellite communications system, and all of the company's activity is in the commercial maritime industry.